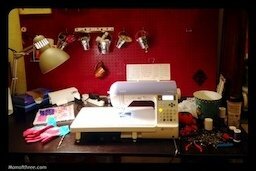 Is your sewing machine sitting in the back of a closet gathering dust? Do you wish you remembered how to thread it? Do you want to learn to sew? We can teach you how! Bring your sewing machine and all of it's accessories (power cord, pedal, bobbins, presser feet, needles, etc.) to this 2 1/2 hour workshop. I will teach you how to wind the bobbin and thread the machine. We'll familiarize you with the most useful stitches and we'll even sew a quick project together to get you started. You'll leave feeling confident that you can sew on your own! Please bring all accessories with you including foot pedal, bobbins, needles, machine manual (if you have it). The bobbin is very important as bobbins are machine specific and I only have bobbins that fit my machine! If your machine is still in the box, you should have a couple. All machines come with a few bobbins! If you have sewing scissors, thread, and/or a seam ripper, feel free to bring it. I will have some supplies available for sale such as seam rippers and needles if you need them. 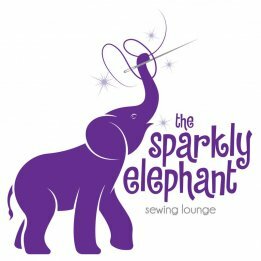 If you have any questions please call me at 832-895-9208 or email me at sparklyelephantsewing@gmail.com. Please arrive 15 minutes early to set up your machine so we can start on time. Machine rental for the class is $10. Thank you! I'm looking forward to getting to know you! Bring your sewing machine and all accessories. If you don't have a machine you can rent one for $10 for the class.